Uppercase this month has to have been the best month yet for them (well, since I’ve started receiving in March). I absolutely LOVED everything included and am so excited to share all the goodies with you! The book this month was Rebel Mechanics by Shanna Swendson. Not only was the book a title that I had never heard of before, it sounds incredible. I am so excited to get into this one. It also came with a custom bookmark (it’s laying across the book – yup it looks just like the cover art! ), and a signed bookplate from Shanna Swendson. A rose gold ampersand necklace. I’m absolutely in love with it – it’s by far the BEST trinket they’ve included in any of their boxes and something I will wear regularly. It is absolutely beautiful and can’t wait to show it off in future photos on Instagram. 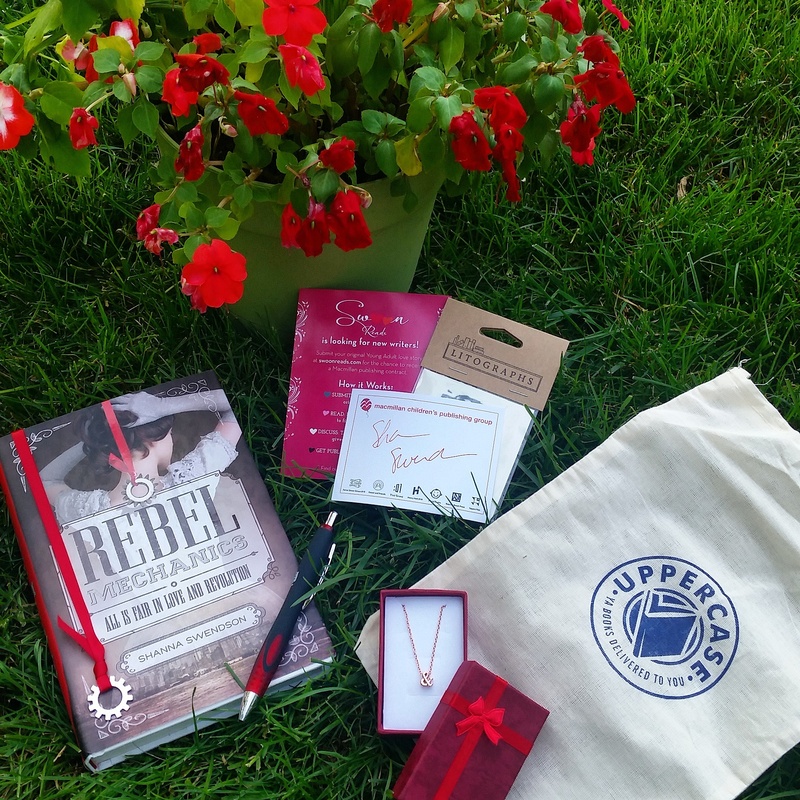 If you’d like to get your hands on a future Uppercase Box, head on over to their website!